Patrick Tormey, Our Immigrant Ancestor: First Tormey in America? In the United States there are several, mostly unrelated lines of Tormeys (i.e., the Maryland Tormeys, the Pennsylvania Tormeys or the California Tormeys) that originated when our immigrant ancestors arrived in America at different times and made their homes in different parts of the country. The oldest such line (with the largest number of successive American generations) is the Maryland Tormeys, which traces its roots back to Patrick Tormey, my great-great-great-grandfather, who immigrated to Maryland from Ireland in 1816, at the age of 20. Reconstructing the facts of someone's life who lived two centuries ago is no easy task. Nonetheless, continued research has revealed several meaningful clues that help paint a picture of Patrick Tormey's life and times. From the monument at his grave site, which I only recently discovered, in June 2002, we learn that Patrick Tormey was born on April 17, 1796 (*1), near the town of Athleague, in County Roscommon (*2), Ireland. While we don't know exactly where in Athleague Patrick Tormey's family lived or what kind of occupation they pursued, rural Athleague as it existed in Patrick Tormey's day, like much of County Roscommon, consisted largely of fertile farmland and extensive peat bogs -- both of which were common sources of income for local residents. Mills for grinding grain were common throughout the area; and peat harvested from bogs was, and still is, a common form of home heating fuel. The area was also known as a quality source of limestone and freestone and contained iron ore deposits, which were actively mined for a period. in Athleague, County Roscommon, August 2007. Records show that Patrick Tormey left his Irish homeland in 1816. He would have been 20 years old at the time. His U.S. naturalization records (*4) indicate that he traveled in the company of a friend by the name of James Curley. 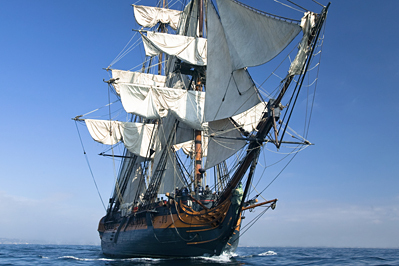 The two sailed from the port of Dublin and entered America through the Port of Philadelphia. (*5) They then traveled on to Frederick, Maryland, which became home to James Curley for the next 8 years and home to Patrick Tormey for the next 34 years. names on a ship's manifest with all the details. Interestingly, the connection between Patrick Tormey and James Curley may hold some important clues about our own Tormey past -- as it appears that there is a larger link between the Tormey Family and the Curley Family in both Athleague, Ireland, and Frederick, Maryland. Naturalization records, for example, reflect that on the exact same day James Curley filed his Declaration of Intent to become a U.S. citizen (on March 9, 1822, in Frederick, Maryland), a Thomas Curley did the same. (*8) Interestingly, too, this Thomas Curley's naturalization report indicates that, like James Curley and Patrick Tormey, he was born in County Roscommon, Ireland, and that he followed the same route to Frederick, sailing from the port of Dublin and arriving in America through Philadelphia (though no date of arrival is noted). Might this Thomas Curley have been a brother of James Curley, or perhaps his father or uncle? Additionally, is it possible that the three traveled together from Ireland on the same ship; or did Thomas Curley make the journey in advance, or perhaps a couple years later? Interestingly, too, the Maryland Tormeys have long been associated with the Jesuits and, in particular, Loyola College in Baltimore. 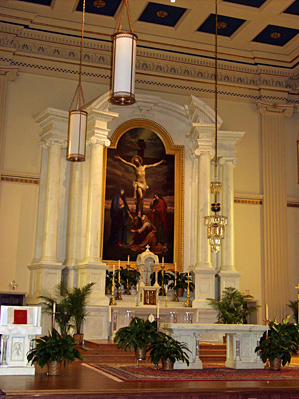 Patrick Tormey's friend, James Curley, himself became a Jesuit priest (having entered a seminary in Washington, D.C. when he left Frederick, in 1826). After briefly returning to Frederick to teach, he later returned to Washington, where for many years he was closely associated with Georgetown University, in Washington, D.C., a distinguished Jesuit institution. (At Georgetown he taught natural philosophy and mathematics for 48 years. He also served as director of the university's astronomical observatory. (*9) Is it possible that James Curley played a role in persuading Patrick Tormey to move from Frederick to Baltimore in 1850? Likewise, was he of some influence in Patrick Tormey's sons seeking higher education at Jesuit-run Loyola College in Baltimore? Connecting the pieces of this interesting puzzle must be a priority for future research. In researching why Patrick Tormey left Ireland, one is also led to ask why he and the Curleys chose to make their home in Frederick, Maryland. There is no doubt that the cross-Atlantic journey from Ireland to America was a very expensive one. It is for this reason that most Irish immigrants of the mid and late 1800's stayed in the city where they first arrived in the United States. New York and Boston were typical destinations. That Patrick Tormey and the Curleys chose not to stay in the city of their arrival (Philadelphia) and instead traveled immediately on to Frederick, indicates a specific route was planned before they ever left Ireland. Perhaps we will someday know what, or who, lay waiting for them at Frederick. Though we don't yet know the reasons for their journey, it is known that the hill country of Pennsylvania and the foothills of the mountains of Western Maryland were popular destinations for early Scots-Irish immigrants. These areas were a natural attraction to Irish settlers who sought places that most closely resembled the areas from which they had come. 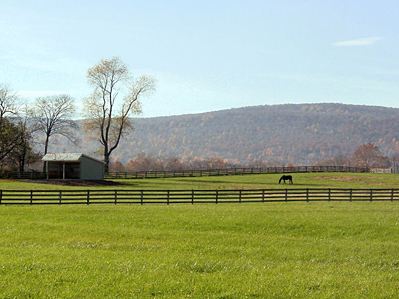 A view of the Frederick countryside, showing its many rolling hills. Many of these same early Scots-Irish immigrants, and their Irish Catholic brethren that followed later, played an important role in the development of the U.S. as a nation (serving quite actively in the American Revolution and aiding in taking control of much of Pennsylvania and Western Maryland from the British). Whatever his reasons for choosing Maryland as his home, Patrick Tormey's descendants will forever be linked to the state. Since his arrival in 1816, many successive generations have lived and died in Maryland -- witnessing nearly 200 years of its history. To this day, six generations later, there are several descendants of Patrick Tormey still living in Baltimore and the surrounding areas of Maryland -- perhaps walking some of the same streets that their family patriarch did nearly two centuries earlier. Even those many Maryland Tormey descendants who no longer live in Maryland still feel a bond with the state where so many of their roots can be found. From the same newspaper announcement that reported his wedding to Jane Jamison, we learn that, in 1825, Patrick Tormey was a "merchant" by profession. To date, we do not now what kind of merchant he was. We do know, however, that over the years he became quite successful in several business interests, leading him to become a prominent member of Frederick's business world. We know, for example that he served as a director on the board of the Frederick Benevolent Society (*11) and was a major shareholder as well as director corporate secretary of the Mutual Insurance Company of Frederick County (*12, 13), an insurance company originally established in 1843 to protect Frederick County citizens from loss by fire. In 1850, Patrick Tormey relocated his entire family (including, by then, grown children) from Frederick to Baltimore. To date, research has provided no knowledge as to why Patrick Tormey and his entire family moved from Frederick to Baltimore. As noted above, it is possible that James Curley was of some influence. It is also possible that he moved to pursue a specific business opportunity. It is known, for example, that at least three of Patrick Tormey's sons (Leonard J. Tormey, Francis D. Tormey and James Edward Tormey) were involved in the stock and bond brokerage business under the firm name Tormey & Associates. Might this business venture have been the impetus for the family to have moved from Frederick? Or is it possible, instead, that this business opportunity evolved after their relocation? In any case, we know that Patrick Tormey met an untimely death at the age of 56 (on July 12, 1852), just 2 years after moving to Baltimore. His wife, Jane Jamison, lived another 24 years before passing in 1876. 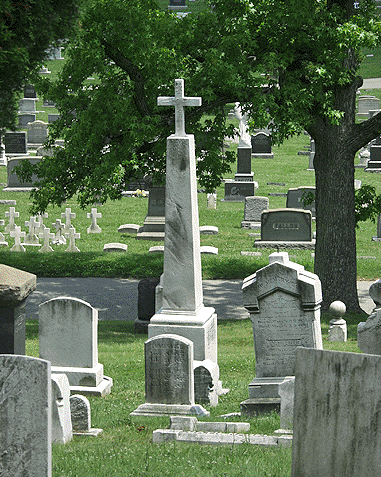 The two are interred together at Baltimore's New Cathedral Cemetery. other Tormey grave sites as well. Francis D. Tormey: A death certificate obtained from the Maryland State Archives reports that he died on August 3, 1891, at the age of 65 (which would mean he was born in 1826 -- exact date of birth was not listed on the death certificate). He is noted as being married at the time of death. An additional reference to his death in the Baltimore Sun newspaper notes his occupation as being a stock broker. (*14) He is also listed in both the 1881 and 1891 Baltimore city directories as being an attorney. David Tormey: He was born in about 1827. (Census records of 1850 note his age as being 23.) (*15) To date, I have found no further information about his life. Mary Jane Tormey: She was born in 1829, in Frederick and died in 1890, in Baltimore. On November 14, 1852, she married Noah W. Caughy, also of Baltimore. Leonard Jamison Tormey: He was born on January 26, 1830, in Frederick and died on July 23, 1883 in Baltimore, at the age of 53. He was both a banker and a stock broker by profession. On November 21, 1860, at the age of 30, he married Ellen Mary Jenkins. He was involved in founding St. Mary's Industrial School for Boys in Baltimore. (*2). Frank A. Tormey: A death certificate obtained from the Maryland State Archives reports that he died on February 05, 1905, at the age of 71. His date of birth is listed as March 10, 1834. He is noted as being a widower and a retired business manager. Kate Tormey: She was born in about 1838. (Census records of 1850 note her age as being 12.) (*15) To date, no further information is known about her life. Uncover the details of Patrick Tormey's relationship with the Curley family, in the hope of better understanding the story of Patrick Tormey's life, his motivation for leaving Ireland, and the fate of his own family in Athleague. Uncover records of who Patrick Tormey's parents were, with the goal of documenting our family tree back further in time to include prior generations in Ireland. 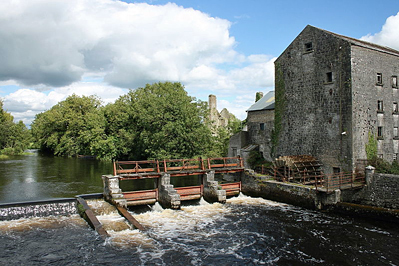 Likewise, it may be possible to find a connection with related branches that remained in Ireland or emigrated to America from Roscommon in later years. Locate specific ship and passenger list information that might reflect the type of journey Patrick Tormey and James Curley experienced as they traveled to America from Ireland. Complete the family trees of all of Patrick Tormey and Jane Jamison's children, with the goal of reuniting living cousins who share the same Maryland Tormey roots. Locate a photo of Patrick Tormey and his family in Frederick. Research the history of Baltimore brokerage firm Tormey & Associates and the role the Tormey brothers may have played in the development of the Baltimore Stock Exchange. How did the firm ultimately conclude operations? Was the firm sold? Did it ultimately fail in the market downturn and economic depression of the late nineteenth century? (*1) Patrick Tormey's grave site monument clearly states that his date of birth was April 17, 1796, which would have made him 56 years old when he passed away on July 12, 1852. This is in conflict with a reference in The Jacob Engelbrecht Death Ledger of Frederick County, Maryland 1820-1890 (compiled by Trudie Davis Long and Edith Olivia Eader -- Paw Prints, Inc., Publishers, 1995 -- entry #9236), in which he was noted to have passed away on July 12, 1852, at the age of 54. (There was no reference to a date of birth -- only that he was 54 at the time of his death.) Until such time as additional documentation may be uncovered (official copies of death records were not maintained by the Maryland State Archives prior to 1875), it will be assumed that the dates of birth and death appearing on Patrick Tormey's grave site monument are the true and accurate dates. (*4) Maryland Naturalization Abstracts, Volume 2, The County Court of Maryland 1779-1851, The U.S. Circuit Court for Maryland 1790-1851, Covering all of Maryland except Baltimore City and County, compiled by Robert Andrew (Oszakiewski, Family Line Publications, Westminster, MD, 1996), page 345. (*5) Patrick Tormey's naturalization records indicate that he and his friend, James Curley, arrived in America, via Philadelphia in the year 1816. A separate resource, a short biographical history of James Curley's life (New Advent Catholic Encyclopedia: http://www.newadvent.org/cathen/04573a.htm), indicates that he (James Curley) arrived in Philadelphia on October 10, 1817. Further research will have to be done to resolve this discrepancy. (*6) In early America, prior to centralizing the naturalization process and record keeping, the majority of declarations and petitions for naturalization were filed at the county and state court level, which is where all such records were then maintained. Many of these records have since become lost or damaged over time. Patrick Tormey's naturalization records, as cited in this report, are in abstract form, transcribed and published by amateur and professional historians. Original documents have not yet been located by this website's author. (*7) Immigrant Ancestors of Marylanders -- As Found in Local Histories, compiled by Martha and Bill Reamy, March 1993, Waipahu, Hawaii, page 238. (*8) Maryland Naturalization Abstracts, Volume 2, The County Court of Maryland 1779-1851, The U.S. Circuit Court for Maryland 1790-1851, Covering all of Maryland except Baltimore City and County, compiled by Robert Andrew (Oszakiewski, Family Line Publications, Westminster, MD, 1996), page 68. (*9) Scharf, J. Thomas, History of Western Maryland (Clearfield Company & Family Line Publications, 1995), Volume I, page 689. (*10) Marriages and Deaths in the Newspapers of Frederick and Montgomery Counties, Maryland 1820-1830, compiled by F. Edward Wright (Family Line Publications, Westminster, MD, 1987 and 1992), page22. (*12) Scharf, J. Thomas, History of Western Maryland (Clearfield Company & Family Line Publications, 1995), Volume I, page 544. (*13) T. J. C. Williams and Folger McKinsey, History of Frederick County Maryland, Volume I (Genealogical Publishing Co., 1979), pages 552, 555. (*14) Arps, Jr., Walter E., Maryland Mortalities 1876-1915 From the (Baltimore) Sun Almanac, (Family Line Publications, reprinted 1992), page 229. (*15) 1850 U.S. Census, enumerated July 23, 1850, Baltimore City, 5th Ward, page 147. (*16) The Jacob Engelbrecht Marriage Ledger of Frederick County, Maryland 1820-1890, compiled by Trudie Davis Long and Edith Olivia Eader (Paw Prints, Inc., publishers), page 149. (*18) Historical Sketch of Loyola College, Baltimore 1852-1902, page 34.